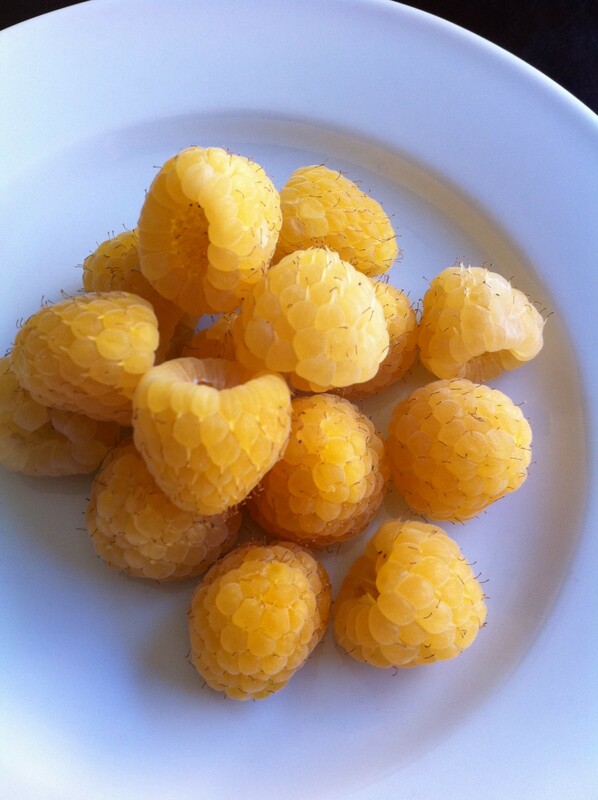 These gorgeous golden raspberries brought me so much joy this week. My heart always skips a beat when they show up at my grocery store and I can’t get enough of them. Just delicious. Must have!!!!!! OMG how is it we don't have those at our store???? My joy? Planned our 1st real family vacation for October…..to MAUI!!! i have never had a golden raspberry! what do they even taste like? um….this week? You brought me lots of joy this week, actually. Just being you. I am so lucky you are my friend. i have never even seen a golden raspberry. beautiful! I have experienced so much joy from blueberries to my heart's content since being in Oregon! I have never had these…truthfully, I didn't even know they existed. They look delish! Never had these before! They are so pretty! I'm not terribly healthy, but I loooove the way fruit and vegetables look. I love you on Babble…but also, I just love you. My joy? Twisted as it sounds, its finding that I'm failing miserably at making chocolate chip cookies. But my pants are thanking me. Also: Saturday morning watching my new son sleep on my handsome husband's chest. SIGH! My other joy? Reading you! What brought me joy this week was seeing the love in my son's teachers eyes as they said goodbye to him for the summer. And knowing they will all be back next year! Special ed teachers are amazing people. Those raspberries are such a serious yum! And my joy was my daughter's Daisy troop "bridging" into Brownies. Such big girls! My joy came Friday. Unexpectedly. I picked my children up from their last day of school at noon; it was an "early-out" day. I asked if they wanted to invite friends over to kick-off the summer. They did not. They wanted to go out to lunch. With me. I called my husband who (miraculously) was able to meet us at 1:30 for a spontaneous family lunch. At a restaurant. On a weekday. We've never ever ever done this. Not in the 14 years we've been parents. There were smiles and good manners and tasting of each other's meals. There may or may not have been a midday glass of wine. And it was all, in a word, joyful. My joy this week was small but wonderful. We spotted tiny freckles starting to show on my 4 year old daughter's nose. Turns out she's going to be freckly, just like her mama. And I'm thrilled about it. She is too. My joy this week you already know…watching my son cross that stage and get his diploma! My joy this week was watching my babies play in the sand at the beach. Too bad it was 59 degrees, LOL.